Right click the wooden peg to activate the Quern grinding. 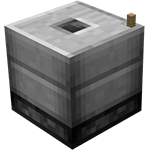 Crafting the quern requires both a Quern Base and a Handstone, the handstone is later used up while grinding flour and needs to be replaced. Note that the base uses smooth stone while the handstone uses raw stone. Place the handstone in the top slot. Place the item to be ground in the left slot. 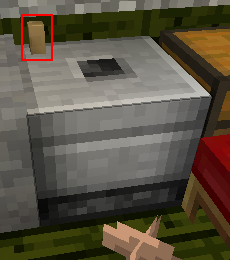 Exit the gui and right-click the wooden handle to rotate the handstone. This page was last modified on 12 March 2015, at 23:44.